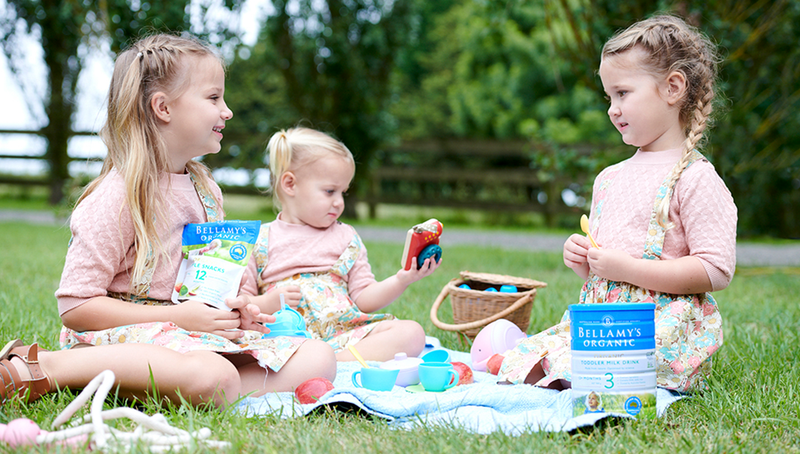 Bellamy’s Organic Step 1 – ORGINAL FORMULATION – Infant Formula is suitable for most babies from birth through to 12 months. It’s made from certified organic cow’s milk, blended with essential fatty acids, vitamins and minerals.. Ingredients: Organic demineralised whey powder, organic vegetable oil (organic palm kernel oil, organic soybean oil, organic sunflower oil, organic palm olein oil, alpha tocopherol (natural)), organic milk solids, organic lactose, whey protein concentrate, milk protein concentrate. Minerals: Potassium chloride, calcium phosphate, calcium carbonate, magnesium sulphate, sodium chloride, sodium citrate, ferrous sulphate, zinc sulphate, cupric sulphate, potassium iodide, sodium selenite. Vitamins: Sodium ascorbate, vitamin C, niacinamide, vitamin E, vitamin A acetate, vitamin D3, calcium pantothenate, thiamine hydrochloride, pyridoxine hydrochloride, folic acid, vitamin K1, d-biotin, vitamin B12.